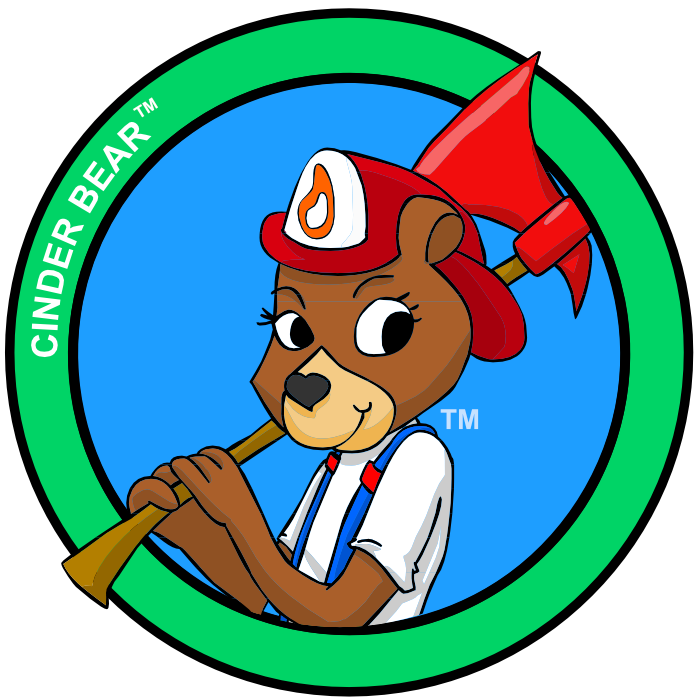 Cinder Bear is the fire safety bear that promotes The Fire Horn and related products and teaches children about fire safety. Here are some fire safety tips from Cinder Bear! Make a fire escape plan for your house. Don't leave space heaters on overnight! Test your smoke detectors on a regular basis. Cinder Bear offers great educational opportunities for children and adults! Look for Cinder Bear for more information about fire safety!